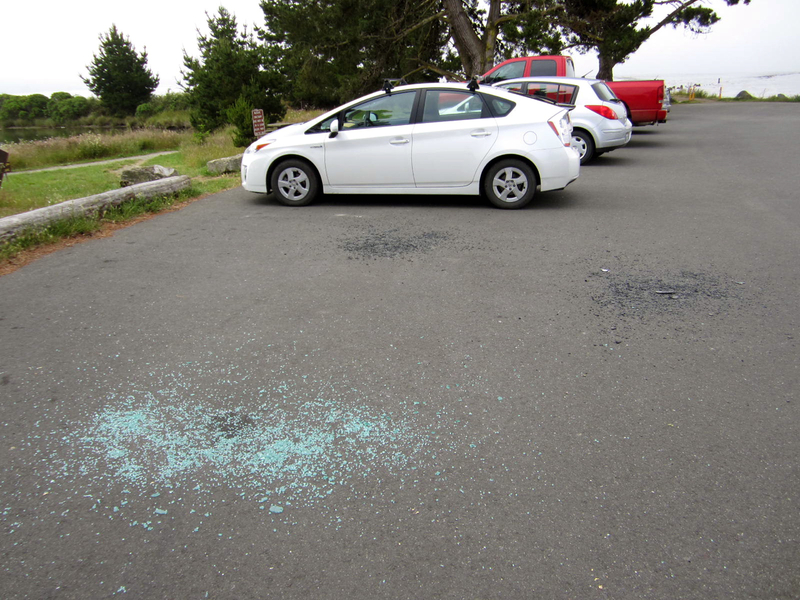 ARCATA MARSH – For months, parking at the Arcata Marsh and Wildlife Sanctuary has been a risky proposition. Numerous Marshgoers have returned to their vehicles after a walk only to find a window smashed and any valuables burgled. The break-ins continued this last weekend, with at least two cars window-smashed and rummaged through. Witnesses have reported seeing a man on a bicycle in the area around the time of the break-ins. Many of them were birdwatchers who took pictures of the subject on the bike. This morning, Monday, June 10, Park Ranger Richard Bergstresser was headed southbound onI Street toward the Marsh when he observed a man on a bike headed the other way. In the time it took Bergstresser to turn his patrol vehicle around to interview the man, he had pedaled away at a rapid rate. Bergstresser located the man riding westbound, against traffic, on the sidewalk on Samoa Boulevard, a Vehicle Code violation, according to Det. Sgt. Todd Dokweiler. “That turned it from a consensual conversation to an enforcement stop,” Dokweiler said. The man, Shawn Paul Alberson, 40, of Eureka, was found to be on parole for burglary and in possession of burglary tools, a loaded .22 caliber handgun and stolen property. He was arrested on multiple charges (see APD press release, below). Along with a pry bar, window-smashing device and a night vision scope, Alberson was carrying multiple “bump keys” used in picking locks. In addition, Alberson was carrying a number of credit and debit cards bearing the names of Arcata residents. APD is correlating those names with previous burglary victims a the Marsh. “We know they don’t belong to him,” Dokweiler said. Despite the state’s infamous “realignment” policy, which releases property crime suspects from jail more or less immediately, Alberson might be kept in jail due to his status as an armed parolee. “They’ll hold on to him for a while, I hope,” Dokweiler said. Dokweiler credited citizens with collaring the suspect. “It’s another case where citizens made the difference with their photos and calls,” he said. An Arcata Police Department Ranger patrolling the Arcata Marsh area located a suspicious man on a bicycle at about 8 a.m. this morning. 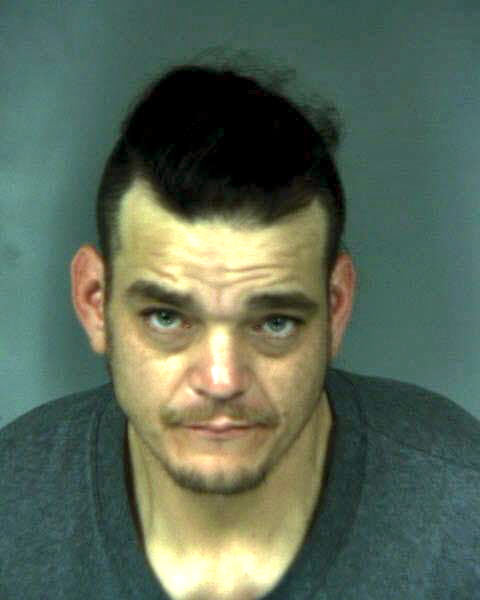 The man was contacted and identified as 40-year-old Shawn Paul Alberson of Eureka. It was determined Alberson was currently on parole for burglary. A search of Alberson was conducted per the terms of his parole. The ranger located a loaded .22 caliber revolver concealed down the front of Alberson’s pants. 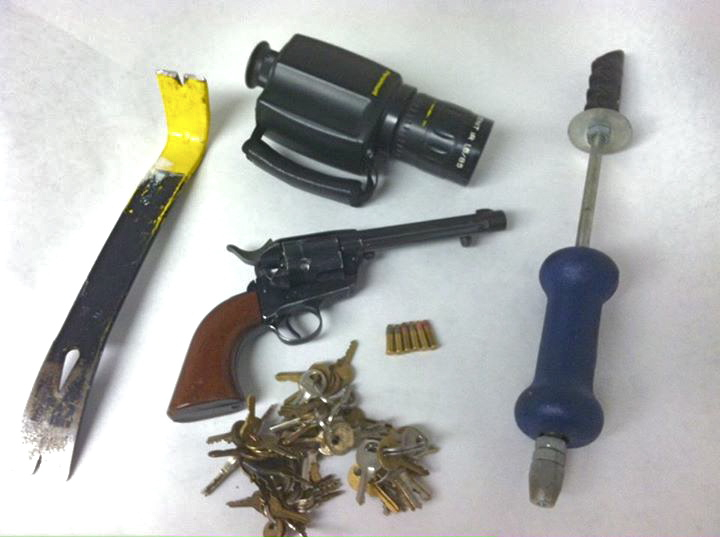 He was also found to be in possession of numerous burglary tools that included dozens of car keys, a pry bar, a slide hammer and a night vision scope. Numerous credit and debit cards belonging to previous victims of theft were found in Alberson’s pack. Over the past month the City of Arcata has seen a significant increase in vehicle burglaries in the parking lots in and around the Arcata Marsh. Several people have reported seeing a man matching Alberson’s description and riding a similar bicycle in the area just before or just after the burglaries occurred. This entry was posted on Monday, June 10th, 2013 at 12:17 pm	and is filed under News. You can follow any responses to this entry through the RSS 2.0 feed.